Native Bees number over 4000 in the U.S. alone. Six of the major families of natives live in New Mexico—including bumblebees, bombus terrestris. 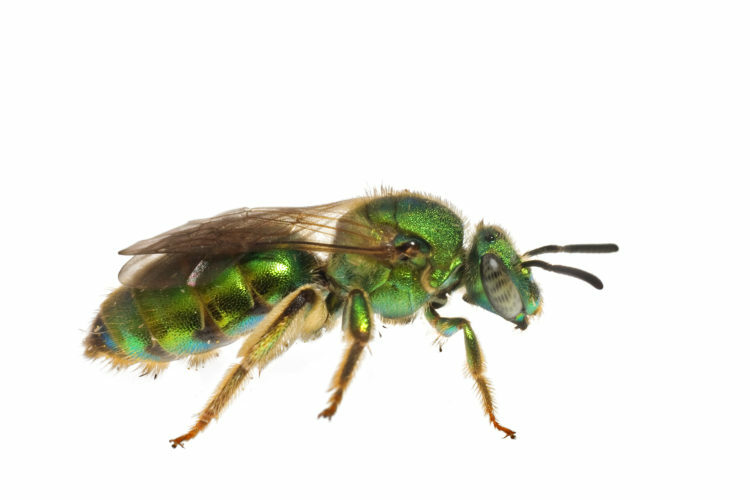 These native bees, from a few millimeters long to the stout bumblers, are sadly overlooked. They aren’t viewed as the food economy’s workhorses. Instead, honeybees have become the new movie stars, hailed everywhere they go. Honeybees have been good poster children—signifying everything that’s gone wrong with our industrial food system and chemically burdened planet. But native bees….these little pollinator dynamos are worth learning about and attracting to your garden. Now that honeybees are collapsing, these self sufficient, independent native bees have caught the attention of the commercial food industry agriculture, especially almond growers, alarmed by the disappearing honeybee. I get my share of worried homeowners wondering if I can come over and pick up their bumblebee hive. I would if I could. But beekeepers are specialists in apis mellifera (well, we think we are), not bumblers. I can pick up a honeybee swarm since i know their docile nature when they swarm. But bumblebees, or so I’ve heard from first hand encounters by beekeepers, are a different beast all together. They do have a colony, usually found in an underground burrow. If they are too close to human activity or animals they may become aggressive and protective. But usually, if far enough away from the action, they will just mind their own business. But I would never ever in my right mind try to remove one. They do sting if aggravated, and the sorry bloke who tries to dig them out will not fare very well at all. The good news is that the colony completely dies back each season. The queen will lay her next years brood of queen eggs to replace herself. But the rest of the workers are toast. If you really don’t want them to set up residence in your backyard, I usually counsel covering up the hole, after it gets cold and goes dormant, and putting a cover, rock, boards, etc. over it. Any emerging queens in the Spring will likely find another home for their brood. But don’t take my word for it. Call your local Cooperative Extension service. Here in New Mexico, check out the New Mexico State University in Las Cruces. Ask their specialist about native bumble bee behavior. 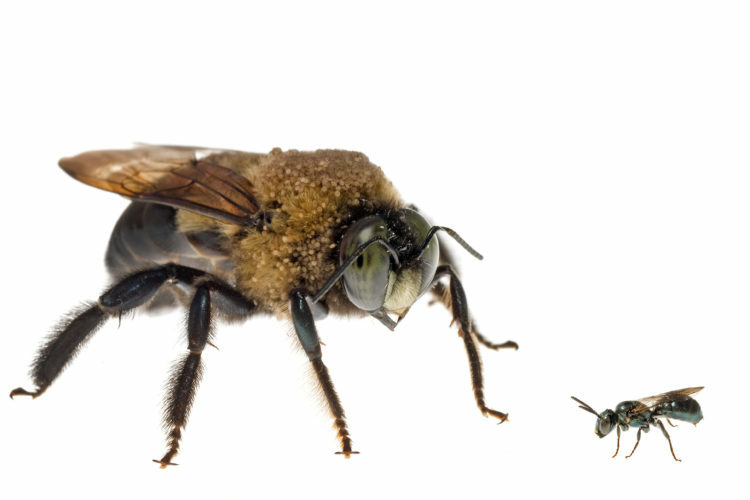 With all native bees in decline, killing them has become a non-negotiable. Don’t do it. Most native bees are solitary creatures. There are the yellow faced bees, squash bees, digger bees, long-horned bees, mallow bees, cuckoo bees, carpenter bees, plasterer bees—all with special and unique abilities. See my June 2016 blog post on all the amazing varieties of native bees, of which over 1,000 of them live in New Mexico alone. The first remarkable thing about native bees is that they live in the dirt, in excavating tunnels that can reach a foot or more beneath the soil, in dead wood or hollow plant stems, plugging the entrance with mud or other chewed plant material after laying their eggs in unexpected places that humans don’t expect to find bees. So leaving undisturbed areas in your lawn, or buying a native pollinator house (google it) will ensure that their progeny continues. The biggest threat to native bees is the use of chemicals and insecticides on dirt and on your plants, and loss of habitat. These lovely little natives have co-evolved with plants for millions of years and have a special relationship with certain plant species that are being wiped out as “weeds” or paved over by housing developments. For instance, native digger bees have a long tongue to extract nectar from certain native New Mexican Penstemon species. Honeybees, imported from Europe, just don’t have the anatomy to get into certain flowers. Bumblebees are great for pollinating tomatoes. Here is a sweet little trio of native long-horned male bees over-nighting in my sunflowers. They literally just drop where they stop. Like Jesus, they have no place to lay their heads, so they rest in the faces of flowers—the sweetness of nectar and the softness of the pollen line their beds. So next time you go to purchase plants, make sure you add in native pollinator plants and leave some space fallow in your yard for these lovelies.